TV Show: Hawaii Life – four more episodes! Ah, a piece of paradise! The new TV season of the show “Hawaii Life” has started and we have been catching up with old episodes. The last four episodes (we have watched) have featured two property searches on the Big Island and two property searches on Kauai. You’ll be pleased to know, I watched these from the comfort of my couch with the gas fireplace blasting! Ah, warmth. 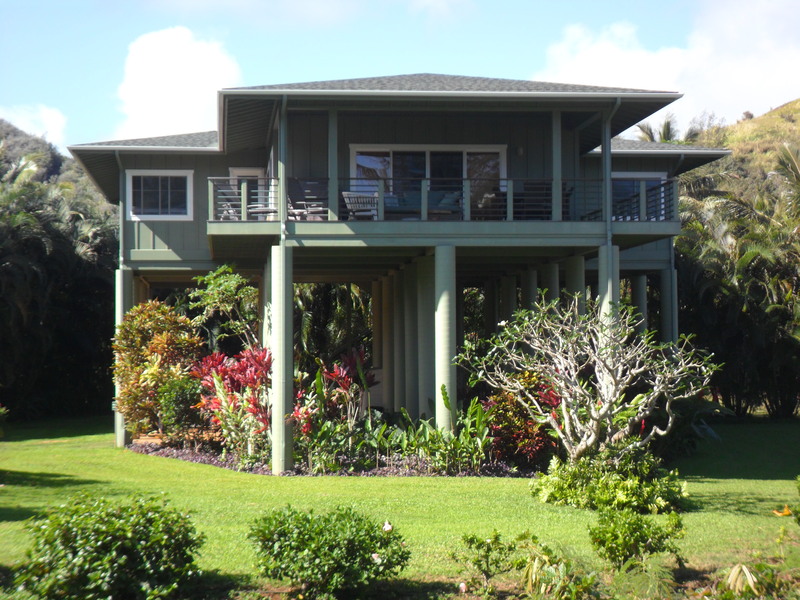 The Big Island appears to be a little more affordable than Kauai, Maui, and Oahu. At least the properties that were shown appeared to be more affordable. The lower price range houses (under $300K) are fixer uppers. Some are just update issues but all appear to be livable. Nothing a few hundred thousand dollars of remodeling couldn’t fix. Townhouses and condos might have HOA fees as much $511 per month (as we saw in the Boogie Boarding episode). To be fair, we have condos here in Seattle with crazy high monthly maintenance dues and fees as well. Much like the southern United States, you also get to deal with bugs and termites. Home inspections are very important in everything state but in Hawaii, you might run into mold in greater numbers because of the high humidity. But hold on, the various islands and the location where you are on that island can also influence the mold situation. Recently, my friend moved from one part of Kauai to another and he ran into the mold issue. He has lived on Kauai all his life and he has never had to deal with mold. He moved from a drier area to a wetter area. More dampness equals more potential for mold. The house might not have mold in the actual structure but your clothes boxed up and stuck in storage might get a moldy smell to them. Good airflow is one of the keys to fighting mold. On a side note: I’m really beginning to hate the show’s tagline “You don’t have to be rich to live in Hawaii; you just have to want it.” One reason is that whenever the real estate brokers say it, they just look like some stoner surfer dudes. Forced smiles on their faces. Oh please. The “Hawaii Life” show is also just a 22 minute long sales show. Whoever thought up this reality show was a genius for turning a sales show into a reality show. It is always the same real estate company and guess what it is called? “Hawaii Life”! Surprised, huh? And on an ending note, this is my 200th post! Yeah me! I get a gold star! Yeahhhh Happy 200th birthday. All of Hawaii is too rich for the Smiths. I am a huge fan of HGTV but prefer the shows where they fix homes. The people looking for homes are just too annoying! Probably because they have a bigger budget than me. 🙂 Love Hawaii though. This show is a joke. They tell people that Kapolei is really close to Honolulu. Now its close in mileage but at rush hour it can take 2 hours to get 20 miles. Also telling people from the mainland that moving to Waianae is a good idea is CRAZY!